When we first launched “The Easiest Contest Ever”, we had 300 users and a dream. This time around the ThingSpeak Community has grown to over 10,000 users and channels! The first contest yielded many interesting projects and we wanted to see what you can come up with a second time. 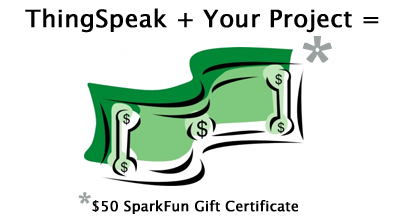 To celebrate our 300th ThingSpeak channel, we are announcing, “The Easiest Contest Ever”.